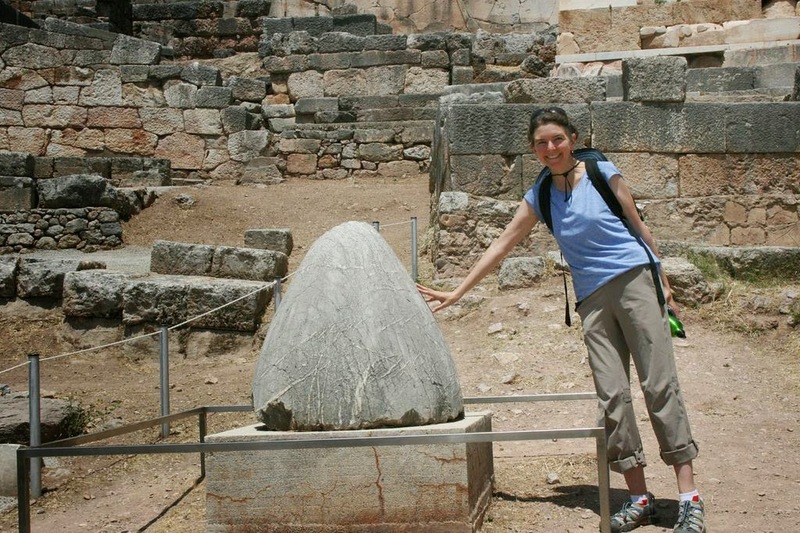 (the belly button of the world) at Delphi. Photo by Yurie Hong. SM: Hi Gretchen, can you tell us a little bit about the work you are doing at MIT this year? GH: First, thanks for inviting me to be part of this compelling conversation on “Visual Essays.” As for MIT, I’m returning as a Visiting Artist for a chamber opera called Cassandra in the Temples. Last year, I reimagined the myth of the ancient mythic seer Cassandra with an ecologic twist for a libretto to be composed by Elena Ruehr, who is on MIT’s faculty in Music. We met before I finished my postdoctoral fellowship there and had a mutual appreciation for one another’s work, where she felt that my books read musically like operas, and I felt that her music was like listening to poetry. The collaborative synergy has been fascinating, also leading me back to antiquity and to a month-long immersion in Greece. An unstaged version of the opera will be performed in November by the Grammy-winning vocal ensemble, Roomful of Teeth, who specialize in an array of world music styles and dedicate themselves to “mining the expressive potential of the human voice.” As part of the visiting artist residency, I’ll be working with classes and doing some collaborative master classes, along with preparatory work for the performance. If anyone happens to be in Boston on November 21st, the performance will be at Kresge Auditorium on MIT’s campus (tickets available here). SM: What is it that draws you to interdisciplinary work? What happens within art-writing-music-research processes that might not within a single subject or medium? Do you ever think that these multi* texts amplify the ways they engage with modern audiences? GH: Each project doesn’t start out interdisciplinary or intergenre for its own sake, rather encountering an unpolished gem of a sound, image, character, or cadence that seems to gleam from a larger genre: an essay, a story, a poem. Content gropes toward a form, seeking a shape where form and content grow in and out of each other. These works are not deliberately hybrid and often want to gravitate toward a home genre, but the material leads me in a different direction, like following cairns on a trail. Other times, there’s a concept or material that leads backwards before forwards, or wears down that seeming-gem to dust. My projects may end up interdisciplinary and intergenre because of my background but also because the world is naturally interconnected, like John Muir wrote: “When we try to pick out anything by itself, we find it hitched to everything else in the universe.” It’s been helpful to have strong grounding in multiple genres to essentially inhabit their architectures, then to see where borders are malleable or porous, tunneling into each other. Each genre builds upon foundations with deep archeologies. During college, leaning toward work in human rights, my writing gravitated to creative nonfiction, new journalism, ethnography, oral history, and documentary film, before I even thought of being a writer. While teaching high school, a diversion of a night class on the “Short Short Story” led me into fiction, which later ended up the focus of my M.F.A. If that professor had called her course “The Prose Poem” instead of the “Short Short Story,” I likely would’ve ended up in poetry. Labels steer us in different directions. Poetry kept lulling over the years, likely because of my background in music. My doctorate was devoted to tracing a lineage of literary appropriations of art forms, focusing on fiction but casting a wide net across genres, working to find forebears and precedents for my literary and artistic inclinations. Over the years, I’ve taught at a variety of colleges and universities, and it’s helped immensely to teach separate courses in fiction, nonfiction, poetry, literature, museum studies, book history, and other disciplines that have helped me (and hopefully, my students) think about genres in and of themselves, alongside interdisciplinary and interartistic overlaps, to know where borders are to navigate and cross them. And how to return to a home genre with a new perspective. "These works are not deliberately hybrid and often want to gravitate toward a home genre, but the material leads me in a different direction, like following cairns on a trail. Other times, there’s a concept or material that leads backwards before forwards, or wears down that seeming-gem to dust." 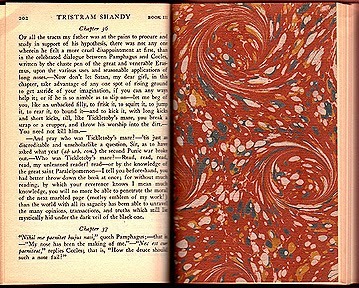 Two page spread from Henderson's novel Galerie de Difformité. Given my background in music, I’m essentially interested in voice and acoustics. Toward the end of my doctorate, thanks to a residency at the Vermont Studio Center, I was grateful to have some of my “fiction” read by Forrest Gander who said, “You’re writing poetry.” Most pieces weren’t getting accepted as fiction, so he encouraged me to send them out as poetry, and then a bunch got published. That advice was insightful, and the exercise of re-labeling under a different genre made me think more about reading strategies, how a reader meets a page with an inherited set of expectations about what constitutes genre. Following a genre’s lineage outside of its academic or commercial packages, you start to read and listen at the level of language, and the text starts to talk back in fascinating ways. The medium of the message also deeply influences the evolution of genres, again coming back to convergences of form and content. Nothing is created in a vacuum, and sensory registers shift and influence the acts of reading, writing, making (and un-reading, un-writing, and un-making) our changing world that, in turn, changes us. As you mentioned, modern audiences encounter many media forms and find different ways to navigate these literacies, which in turn suggest new creative forms. Since we live in a world whose literacies are increasingly visual, aural dimensions of literature appeal to me as the two-dimensional medium of the page can resonate as a three-dimensional soundscape or echochamber. In our noisy visual and aural landscape, I am interested not only in sounds but also silences, absences as well as presences. Earlier this year at AWP, I gave a talk about history (more toward the French, histoires, meaning both “history” and “story”) and in writing that talk realized that many of my books adopt architectural frameworks in their titles—with “house,” “gallery,” and “temple” literally embedded in The House Enters the Street, Galerie de Difformité, and Cassandra in the Temples. Writers often talk about “narrative architecture” or “poetics of space,” but I hadn’t meant to be that overt! But it was ear-opening to recognize, since I’m always interested in how different texts set up resonant echo-chambers. 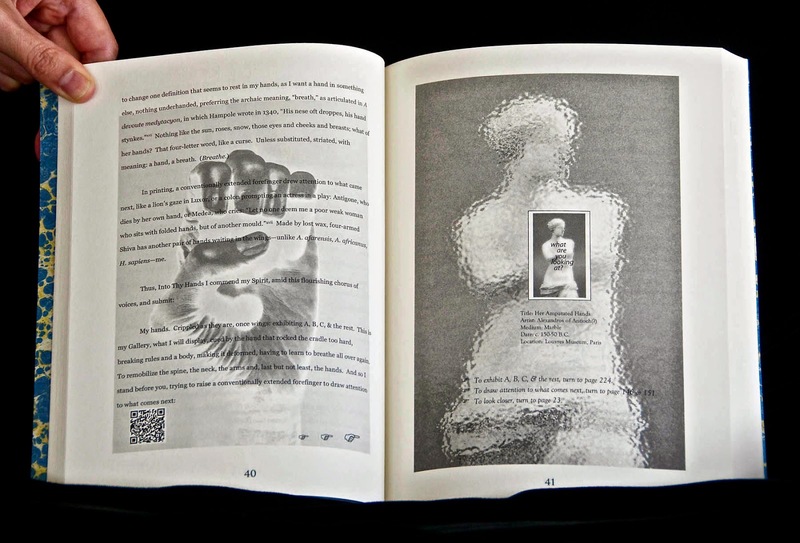 Since the activity of reading is often silent, other sensory registers can activate the space of the page: visually, aurally, haptically, and metaphorically. Writings that are commissioned or collaborative often come with specific genre specifications. I welcome this “constraint” and use that term generously and generatively: every genre is capacious, evolving over long histories, leaving room for exploration. “Visual Essays” (as you know well, given your own capacious work) include the wide landscape of nonfiction from the lyric essay to new journalism, ethnography to creative nonfiction, documentary poetics to oral history, and much more. 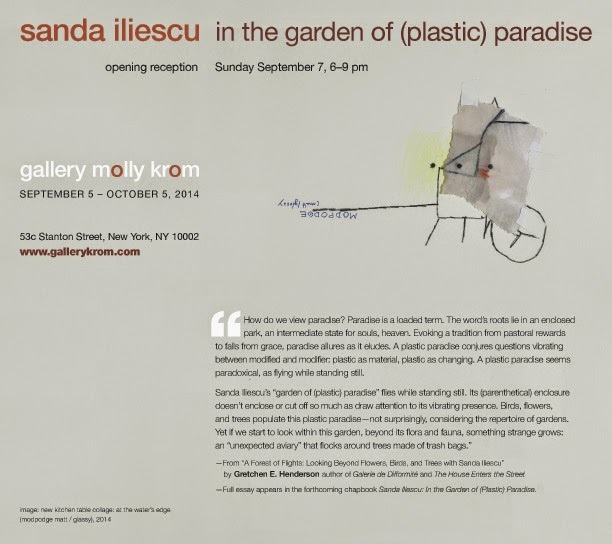 My most recent nonfiction project was a commissioned essay for an exhibition at Gallery Molly Krom in New York, offering a wonderful experience of correspondences with the artist Sanda Iliescu, finding a form of essay that echoed her artwork, our interviews and correspondences into a kind of call-and-response art criticism, which will be published as a chapbook of her art and my writing. Since “essay” etymologically derives from assay, as in testing, I view all of these writings as investigations, a quest of questions. SM: In your work as the cross-genre guru of "trying," much of your texts have been deeply considerate of performance spaces and deformance—as you write, “form in motion.” I’m interested in how your textual work considers these strategies of access that extend beyond the relationship between reader and printed page. Can you speak a little about deformity? And the connections between deformance and the performance of cross-genre work? GH: “Deformity” includes “form,” literally embedded in the word. I started working with the word in 2004 in a doctoral course on “Eighteenth-Century British Visual Culture” where “deformity” seemed to emerge across an array of textual and visual sources. The period’s classical excavations left a rubble of fragments to repiece against a backdrop of empire and expedition. My final critical paper for that course ended up being titled the “Galerie de Difformité”: far from the hybrid art+text novel that emerged but laying the foundation for that project, starting as a series of critical illustrated micro-essays, linked as if they were an exhibition. During my M.F.A. back in 2000, I had incorporated artifacts, maps, and visuals into my other novel-in-progress but was advised to remove them and focus on text, and that became the focus of my M.F.A.. But then that doctoral essay wanted to fracture into art+text terrain, as it explored forms of deformity not only aesthetically but also socioculturally. (For instance, Aristotle defined women as “deformed” males, and Samuel Johnson defined “deformity” and “ugliness” interchangeably, associated with disability and ridicule.) The further I unpacked the word’s etymology and usage in various periods in contexts, its deformance started to perform, and then the challenge became finding a literary form that fit the content—which ended up, literally, needing to deform across genres and media. 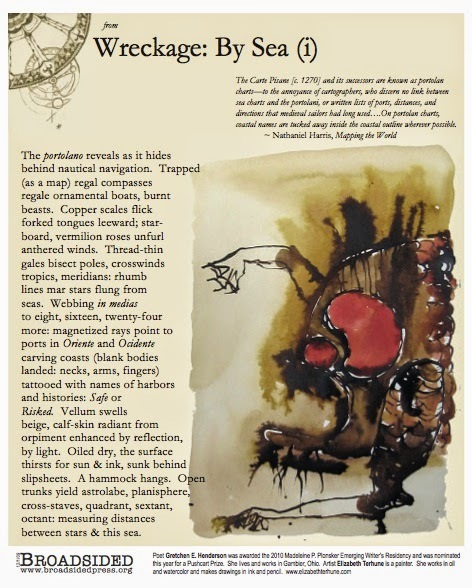 One of the constraints of the Galerie de Difformité is performing contemporary publishing practices: with its “Exhibits” (essentially, prose poems, narrated by one of the novel’s characters) first published in an array of literary journals, then mounted in an online gallery, inviting readers to “deform” those published pages, then getting published as a palimpsestual book, which then became a project in pedagogy, incorporated into classes across disciplines, among other offshoots. The book has been deformed/performed at over 20 universities around the country, deforming in fits and starts, materially and virtually. I’m as interested in composing as decomposing inherited reading and writing strategies to see (and hear and sense) what we take for granted, working with unraveling ends that double as beginnings. The project has been a method of research, a series of investigations crossing genres, creative and critical bounds. "Seasons change; bodies age. Thinking of form as fixed misleads, since change animates everything. Making art is as much about process, if not more than product." Given my background in music, I’ve viewed “deformity” as a verb—deforming as deformance—and was thrilled to learn early on in the project of Jerome McGann and Lisa Samuel’s critical work on “deformance” as a pedagogical strategy. “Deformance” also been defined in more negative sociological terms by Susan Schweik, so the context changes in different cultural contexts. Essentially, yes, I think of it as “form in motion,” since nothing is static. Seasons change; bodies age. Thinking of form as fixed misleads, since change animates everything. Making art is as much about process, if not more than, product. Music scores are not performances in-and-of-themselves but rather provide musicians with roadmaps for performance. Every performance differs, based on the musicians and mediums of time and space. 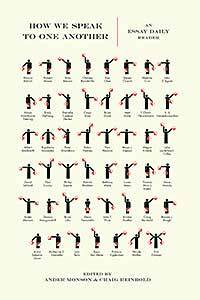 Inter-artistic notations set up fields of interpretation. For me, another angle of performance/deformance emerges through museology, which can function as a narrative strategy. When you walk into an exhibit, a curator has planned a path, but the three-dimensional intersection of space and time offer a kind of choose-your-own-adventure. This format deeply influenced the deforming shape of the Galerie, but as mentioned, each of my projects has different shapes that arise out of entwined form and content. SM: It seems that many writers working across media have been advised to pair their work down to text. Sometimes I wonder if, to the literary community, multi-media texts seem like a new movement coinciding with new technologies tied to social media. You were one of the first instructors I studied under to convey the scope of multimedia work across time. Can you talk a little bit here about the history of visuals in writing? GH: Yes, visuals are everywhere in the history of writing! When you think about the materiality of writing—from inscribed clay or wax tablets, to papyrus scrolls with their horizontal and vertical weaves, to manuscripts on scraped vellum, to the codex and different manifestations of books—all of these provide a visual, tactile, and multi-sensory aesthetic that can be more or less invisible as visuals are integrated or juxtaposed. Text upon text can emerge in traditions from scholia, glosses, and palimpsests. 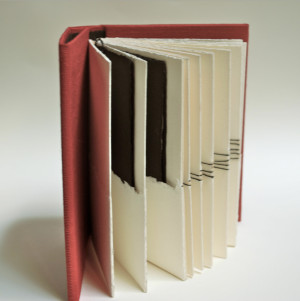 Illuminated manuscripts, emblem books, extra-illustrated and grangerized texts, scrapbooks, collage, bricolage, fine press books in the vein of William Morris’s Kelmscott Press, livres d’artistes like Henri Matisse’s Jazz, Russian avant-garde books, Fluxus kits with explosive “magazines,” a wide range of artists’ books... There are so many writers who engage aspects of visual writing: from George Herbert’s concrete poems and a tradition of Visual Poetry (or VisPo) to William Blake’s illuminated printing, to the typographic play of Lawrence Sterne’s Tristram Shandy (with its infamous marbled page) or Stéphane Mallarmé’s Un Coup de Dés, to Emily Dickinson’s fascicles, to William Burroughs and Brion Gyson’s Third Mind, to Tom Phillips’s “typographic rivers” in A Humument and different practitioners of erasure (Mary Ruefle, Jen Bervin, Jonathan Safran Foer), which barely skims the surface of contemporary writers who have worked with art+text from Theresa Hak Kyung Cha to W.G. Sebald to Shelley Jackson to Mark Danielewski to Steve Tomasula and so many more. This also barely touches upon the evolution of these processes in electronic media, with artistic e-books, apps, and creatively computed concoctions. Many considerations come into play with media, not only production and reading strategies but also decreation, given the ephemerality of different media, influencing our sense of a work: from surviving fragments of Greek drama to electronic literatures that become inaccessible with new technology platforms. SM: You've touched on the slipperiness of genre already but I'm very interested in your process working across genres. What changes for you? What are your thoughts on how various media might pair differently with fiction, nonfiction, poetry... or opera? GH: My sense of genre changes through the compositional process and through structures and shapes found in life. Everything is interconnected, and for me it’s about listening and finding analogous registers in literature through other arts. Priorities and perspectives change. When you hold a camera to frame a photograph and shift the shutter and aperture, light and shadow, the visual changes are palpable. What fits inside the frame, and what gets cut out? Is the subject close up or distant, blurred or clear? Analogous processes in writing shift at the level of language and line, syntax and sentence, paragraph and page, contributing to the overall picture or soundscape of a story, poem, essay, or hybrid text. It’s helpful to try to fit inside any genre’s form and follow its inherited “map,” then re-connect dots like stars in constellations to find alternative myths. It’s also interesting to turn the map upside-down and try to navigate terra incognita and map your way back to a sense of home. One of my first writing teachers, John McPhee, actually had us turn in maps with all of our assignments. The exercise seemed artificial at first, where you made your map after writing a piece, but little by little, that sense of structure seemed inseparable, like a spine connected to bones, muscles, nerves, and fascia holding together a whole body to animate and let it live. When students are interested in multi-genre or multi-media work, I recommend as exercise trying to write and publish distinct types of fiction, poetry, nonfiction, criticism, and more—to get a sense of the various architectures and assumptions for each, to investigate and appreciate what elements overlap and divert, to understand and defend each choice rather than making an arbitrary jumble. Chance operations are useful exercises, but then it’s up to the writer or artist to decide what is worth keeping or discarding, what questions are provoked, where any choice leads and how it influences overall practice. If your writing doesn’t fit neatly into a genre, there can be pushback but also possibility, so it’s vital to know aesthetic precedents. John Cage wrote that composition is not about self-expression but self-alteration, and each investigation likewise alters a sense of a genre’s or medium’s capabilities. "As writers de-classify their works from genre labels, what do we discover? What possibilities and questions arise?" The writer Richard Rodriguez once described in an interview for the American Scholar how his ideal bookstore would be organized: “Chaotically,” he wrote. “What I love most are secondhand bookstores that are completely disorganized. I get published because there’s a Hispanic shelf—I know that—but that means I’ll always be shelved next to a sociological study of Mexican-Americans in Texas in the 1940s. I’ll never be shelved next to the books that created me . . . James Baldwin and D.H. Lawrence . . . People should be allowed to become illegal immigrants in each other’s lives.” As writers de-classify their works from genre labels, what do we discover? What possibilities and questions arise? Galerie de Difformité has been categorized under fiction, poetry, art, and (to my surprise) nonfiction and criticism. That chameleon quality is built into its structure but also has illuminated for me how categorization historically works around words, and what gets lost and found when translated across genres. As for opera: designing that narrative and writing the libretto felt like returning home for me. I came to music almost before writing and spent many years performing, studying composition and music history before turning to writing. I think through texts in musical terms, and it’s been interesting to hear from some readers that my texts are meant to be read aloud. Writing the opera gave full license to imagine text to be performed as song. When Elena first invited me to collaborate, she took my writing and physically held up some of poems in my chapbook, Wreckage: By Land & By Sea, saying: “This poem is 2-3 minutes of music. That’s 7-8 minutes of music.” It was immensely helpful to translate texts in temporal terms and think about how a simple surface could hold layers of meaning. I’ve sung for most of my life, so the process of writing a libretto felt like a leap into something deeply intuitive as embodied memory. Henderson's broadside of "Wreckage by Sea"
Librettists historically strung together words with vowels, which open the mouth to amplify and project sound. Since Cassandra’s myth hovers around listening, it was important to me to build a soundscape that shifted the audience’s act of listening throughout the opera. Serpents are important to her story (reputedly licking clean her ears, giving her the gift of prophecy), so I constructed one song entirely on words with sibilants (which also close down the mouth). Cassandra’s subsequent lament after being cursed ends up devoid of sibilants. There’s much more to say—simply, character and text are tempered throughout. Even as the songs visually resemble poems, they function collectively like fiction and are performed like a drama. The libretto draws upon techniques of different genres and disciplines to forge something more from their intersection that can only be realized in an intermediary, interartistic, interdisciplinary space. Laocoön is a literal character in Cassandra’s story but also embodies the very question of wrestling between genres, as theorists from G.E. Lessing to Clement Greenberg to Daniel Albright have explored. Many more components influenced my reimaging of myth: from knowing the number of vocalists to determine characters, to studying their vocal ranges and proficiencies, to dividing the length of the chamber opera into movements, to mining the myth for aural motifs to thematically and formally organize and transform the narrative, to thinking through ancient modal music and materialities of transmission that could contemporize its message, and much more. It was a humbling, amazing experience after I sent Elena the finished libretto to start receiving her sheet music and midi files and hear musical analogues to my text and work with her to shape the soundscape of the opera. Essentially, an underlying theme boils down to how we listen as a species to one another and to the changing natural world around us. It’s an ecological take on an apocalyptic story. I’m really looking forward to hearing Roomful of Teeth perform it in November. Among other projects, a new opera also is in the works. Gretchen Henderson writes across genres and the arts. Her hybrid novels include The House Enters the Street (Starcherone Books, 2012) and Galerie de Difformité (&NOW Books, 2011), which is a book deforming across media and recipient of the Madeleine Plonsker Prize. Gretchen’s collections of nonfiction and poetry include On Marvellous Things Heard (Green Lantern Press, 2011) and Wreckage: By Land & By Sea (Dancing Girl Press, 2011), as well as an opera libretto, Cassandra in the Temples. Her fiction, nonfiction, poetry, and hybrid works have appeared in a wide variety of journals, including The Kenyon Review, The Iowa Review, The Southern Review, Ploughshares, Performance Research, Journal of Artists’ Books, and The &NOW Awards: The Best Innovative Writing. A classically-trained musician, Gretchen also is a scholar of literature and art history and has taught at a number of universities, most recently at MIT and the Kenyon Review Writers’ Workshop, and this spring will be teaching at Georgetown University. She recently moved to Washington D.C.
Sarah Minor is from the great state of Iowa. She is a doctoral candidate in Nonfiction at Ohio University, and holds an MFA in the same genre from the University of Arizona. She lives in Athens, Ohio and is at work on a collection of visual essays about liminal spaces, if you can believe it. More, here.